is a magazine that has established its presence both online and through the print form. By covering every renowned design event worldwide, Dezeen boasts distinguished content made up of high-quality images, compact accompanying text, and interview clips with famous designers before anyone else. Every day, it releases roughly 20 articles. This includes editorial coverage from writers out in the field as well as articles that selectively curate portfolios that have been contributed by architects and designers. Sometimes it even publishes news on people or events like David Bowie, which readers may not immediately connect to a magazine like Dezeen. Dezeen launched its New York office in the summer of 2015 to keep pace with the capital of the English-speaking publishing world. Soon after assigning two editors dedicated exclusively to the American market, the magazine saw 10 percent of its total subscribers hailing from the United States. The founder and editor-in-chief of Dezeen, Marcus Fairs, was at one time just a furniture design graduate, but later began his journalism career writing for several renowned publications. He shot to fame in 2003 upon launching Icon, an international architecture and design magazine which he edited until November 2006. After leaving Icon, he started running a WordPress blog, taking advantage of the growing influence of the well-known Internet platform. But this was only the start of what he has achieved through Dezeen through its professional content and systematic operation, which has outpaced print media rivals in terms of the speed of distribution while also creating an admirable model for online journalism.Dezeen’s sound business lineup is firmly based on its original content. 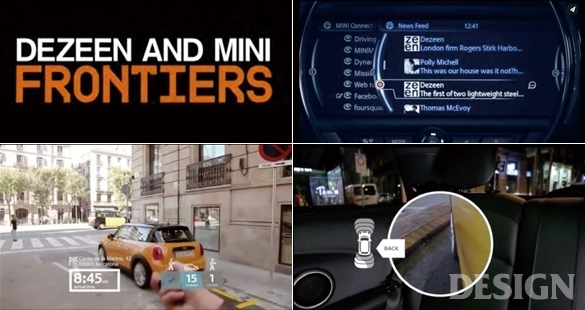 In 2015, people enjoyed both the Dezeen and MINI Frontiers video clip series. Based on keywords from 3D-printing and biomimicry design, this cross-industry partnership gave birth to a productive collaboration to produce tech-design converged content. Dezeen also publishes an independent volume as a compilation of its in-depth interviews. Its extensive business portfolio even compasses an official website for design job openings and an on/offline watch dealer, the self-touted “leading store for watches by named designers and boutique brands.” Dezeen editor Anna Winston was named digital editor of the year by the British Society of Magazine Editors in 2015. Judges commented that Dezeen was a stunningly beautiful site to pass one’s time. 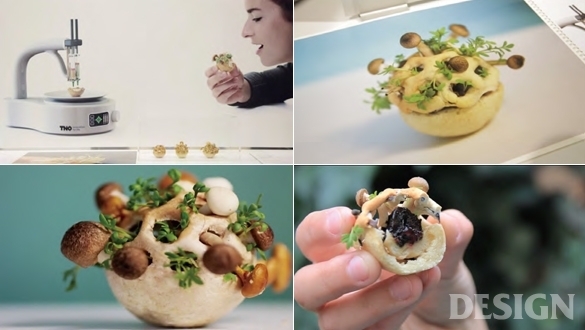 Recently, Dezeen took advantage of its digital platform to expand its video content lineup. In 2015, Dezeen took home a total of seven prestigious media awards. Of these, five were for special video clips. To name just a few, the magazine earned the Commercial Campaign of the Year prize at the British Media Awards; the Commercial Partnership prize at the AOP Digital Publishing Awards; and the Best Content Studio prize at the Digiday Awards for the Dezeen and MINI Frontiers’ video campaign series, beating out media conglomerates such as The Guardian, CNN, Vice and Google. The Dezeen & MINI Frontiers campaign depicted the contact point of technology and design, featuring six cutting-edge designers who presented radical visions for the future of mobility at a major exhibition. Furthermore, Dezeen has produced a total of 80 video clips in the categories of virtual reality, 3D-printing, augmented reality, wearable technology, and biomimicry. In December 2015, this cross-industrial collaboration evolved into an exclusive video series called “Most Loved,” which covered 16 timeless designs. This trust-based relationship between a media agency and its sponsor—each of which maximized the other’s creative ideas—provided real hope about the possibility of a new form of content production. Dezeen has not only successfully adapted itself to the digital era, but taken full advantage of its innovation and flexibility to play a leading role in a new era of communication. Since its early days, when it only posted content about architecture and design content, the magazine has expanded its business into other domains. In 2008, it also launched an affiliate site, Dezeen Jobs for job seekers and recruiters to cater to the rising demand for recommendations of designers by its sponsors. Two years later, it established the Dezeen Watch Store in response to readers who had inquired about buying products featured in Dezeen articles. From products to services, readers trust and want to know more about all the content provided by Dezeen. According to publisher and editor-in-chief Marcus Fairs, he defines his magazine as a media brand (as opposed to a design brand). That may seem radically innovative, but it is justifiable at the same time. Dezeen has been running its own watch store since 2010. This picture is of the old offices for Dezeen, which was renovated from a surgical hospital located in Stoke Newington, north of London. Established in 2007, Dezeen Limited publishes independent volumes by compiling select articles of the magazine. 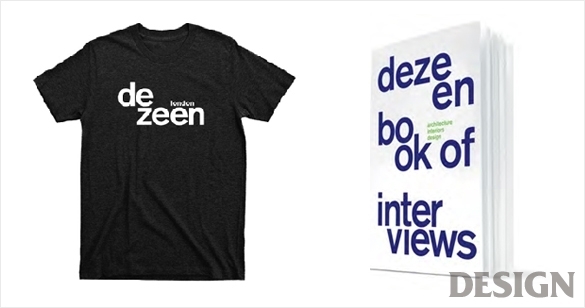 By vigorously expanding its business portfolio from just a publisher to an employment announcement site and watch store, Dezeen has completed its goal of creating a brand power that is much more than a simple logo on a T-shirt. Marcus Fairs was born in 1967. Although a furniture design graduate, Marcus Fairs pursued a career as a journalist, writing for publications such as Blueprint, The Guardian, The Independent on Sunday and Conde Nast Traveller. 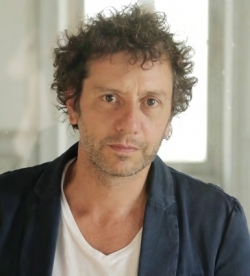 He also launched an international architecture and design magazine called Icon in 2003, editing the publication until he left the company in November 2006. Fairs is also the author of Twenty-First Century Design (2006) and Green Design (2009). First off, since it’s an online media agency you work at, can you help us picture the team you work with a little better? We moved in here [to the London office] last summer. There are around 25 full-time staffs in our London office. It's an open-plan space of around 180 m². After our startup years, the new place is an expression of how we want to be perceived: stylish and successful, but also fun, informal and a bit messy. The architect Pernilla Ohrstedt designed the interior of the new office. The design is quite simple with bespoke square tables, Kvadrat curtains, and Allstar chairs by Konstantin Grcic for Vitra. It's still not quite finished; we ran out of money, so we have to wait a bit before installing the finishing touches. We also have two journalists in New York who sometimes work out of the Moooi showroom in Manhattan and sometimes work from home or Internet cafes. They're kind of nomadic! They’re constantly in touch with the London team via Skype, email, and Google Chat. What kind of background do you and your editorial staff have? Most staff writers working for print design magazines tend to have a background in either design or journalism. As Dezeen specializes in digital newsfeeds, are there any specific qualifications for these tasks? The editorial team comes from a variety of backgrounds. A lot of these people studied architecture or design and then decided to try journalism. Most of them started here as interns, with no experience, and have since been promoted internally. We don't ask for any special qualifications beyond an interest in architecture and design, a high standard of written English, and lots of curiosity. What makes Dezeen stand out is the fact that you’ve created a new platform/ecology for designers to upload their projects to promote. It’s very simple but quite phenomenal. The conventional way to publish is to make reports based on news releases passed on by sponsors. In my case, I chose to collect contributions from designers following pre-established guidelines that I came up with. Since I had a lot of contacts in the design world, I was able to get good stories. Plus, I had the advantage of speed over my print rivals. 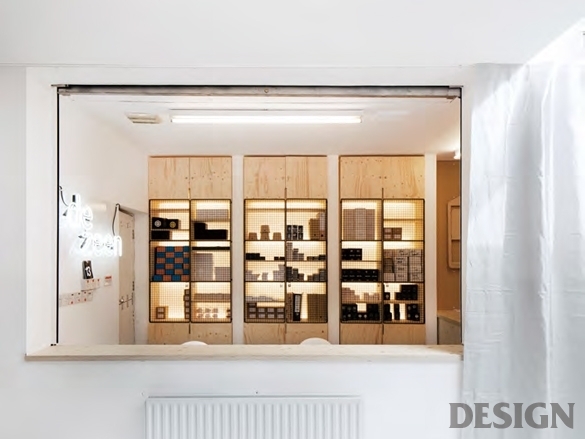 Dezeen became popular quickly via word of mouth, and it’s been growing for almost ten years now. The volume of submissions is one of the hardest things to manage! I get over 300 emails per day. I used to look at every single submission, but that's not possible anymore. That said, everything is copied to the senior editorial team, so everything does get looked at by someone. We discuss what to publish in meetings and forward emails to each other when we're not sure about things. Mostly, though, it's just a question of what to prioritise and publish right away and what to put in the queue for publication later on. We can't publish everything, and we pride ourselves on being selective. Based on its constantly issued newsletters and extremely fast ability to keep up with global issues, it would seem nobody at Dezeen ever sleeps! You always find relevance with design issues in global economic, political, and social issues and then come up with fresh news articles. What makes this prompt responsiveness possible? I'm glad you noticed that! We try to respond quickly to key news events and set our agenda. The truth is that it's hard work and the team often stays very late to finish things, especially after a big news event like David Bowie's death, because after dealing with that the team has to work on content for the next day. The secret is that we schedule content in advance so we can publish stories at night when everyone's gone home, or over the weekend. However, as we grow, we will gradually move to being a 24/7 organisation. That's one of the reasons for opening the New York office—it gives us an extra five hours of opening hours! Dezeen has constantly been growing over the past decade. Did you all notice/plan this expansion from the very beginning in 2006? When I launched Dezeen, I had the idea that I could create an online brand around it. I remember thinking I could create something that would be known around the world within a year, but in truth, it happened more quickly than that. Still, I didn't have any idea of what might happen or how it might work as a business. Today, there's more and more content and more and more competition, but readers have less and less time, so it never gets any easier! How would you define Dezeen today? Does “a design content-curating business” suffice? We're a media brand. We primarily create content about architecture and design, but our business model is aimed at providing additional relevant services to our readers that complement the content. We made the decision early on to diversify away from just selling advertising, as we felt this might not be a reliable source of income. However, we very strongly believe in creating great content, so we’re careful not to venture too far away from that and avoid doing things just for the money. It’s not just your online magazine that’s doing well. Your watch store and Dezeen Jobs are also very popular. Can you tell us a little bit about both of those ventures? Dezeen Jobs seemed like such an obvious thing to do. All the design companies who sent us content also needed to find staff, so we simply started offering them somewhere to put up simple ads. In the beginning, we gave ads away free to our friends in exchange for feedback. The feedback was positive, so we turned it into business with its website. It hasn't stopped growing! With the watch store, we simply spotted an opportunity. We got to know a lot of small design-led watch brands, and when we published stories about their products, readers would always ask where they could buy them. It was around 2009 when e-commerce was taking off, and everyone was launching online design stores. Watches seemed perfect, as they’re easy to store, easy to ship, and nobody else was selling them. Plus, readers who like our content tend to like our choice in watches. They also like to buy them from us because they like our brand. Where do you see Dezeen 10 years from now? Expanding on the TV side or in design-related publishing? Perhaps you eventually want to publish a print version of your magazine? What challenges are you preparing for in the future? We would love to launch a print magazine! It's just a question of time and at the moment, we don't have enough spare time to work on a project like that. There are lots of other things we'd love to do, particularly things like events and conferences. But this year we’re focusing on celebrating our 10th anniversary, relaunching all our websites, and growing the businesses we already have. Next year will be another story, but we haven't started thinking about that yet!